Visits: The space is now a Cultural center an visits are allowed in opening hours. 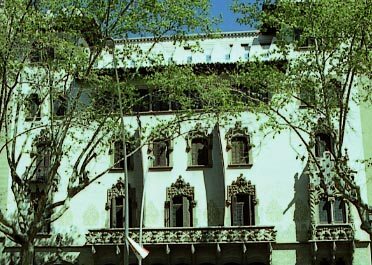 House designed by the architect Josep Puig i Cadafalch, built in 1901. The façade is basically finished in white stucco. 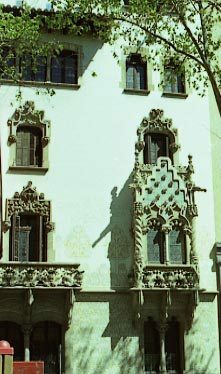 Nevertheless it is decorated with stone profusely sculpted specially around the windows, the balcony and the asymmetric platform of the entrance hall. 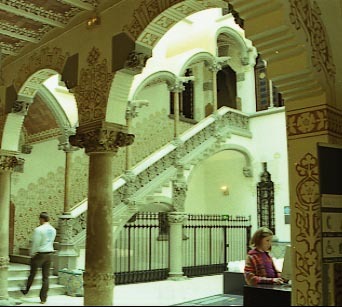 All the house interior had been enriched with ornaments specially into the hall and the courtyard from which starts a magnificent stairway. 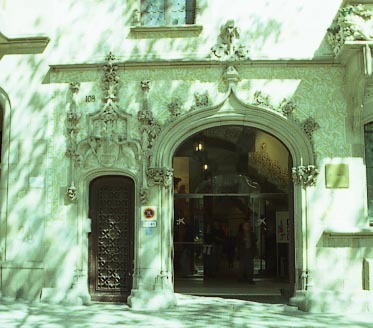 That building had been acquired by “La Caixa” (first savings bank of Catalonia) who had installed in it an space for artistic exhibitions. Consequently it is possible to visit it.